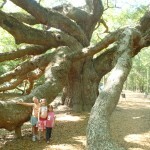 On our way to see the Angel Oak just south of Charleston, SC, our GPS was not cooperating and we were having a hard time finding this mighty tree. 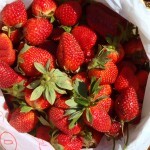 Just when we were starting to turn around, we see a U Pick Strawberry sign. 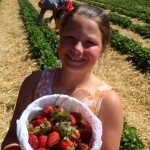 So…….we took a turn down a dirt/sand road in search of a taste of sunshine. 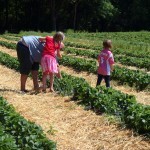 The girls were delighted to pick two buckets full of berries. 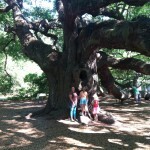 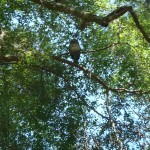 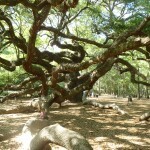 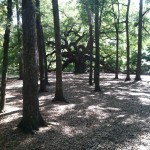 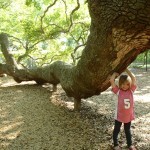 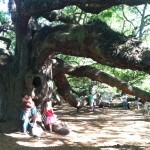 The Angel Oak is on Johns Island, it is not very far from the crashing waves. 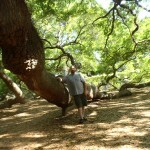 It is hard to believe this tree was large when Christopher Columbus landed on the coast of the New World. 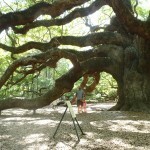 The only way to accurately date this tree is to cut it down and count the rings, so we will have to stick with the date range given by some “experts” of 500-1500 years. 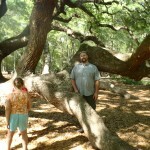 It is mind boggling to contemplate the number of hurricanes this tree has withstood over its many years. 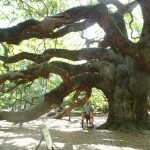 Live Oak trees are very unique in their structure. 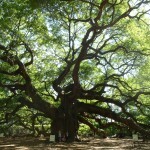 They do not get extremely tall, but the canopy is very broad. 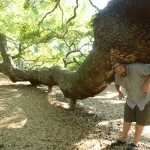 The massive limbs on these older trees actually curve back down to the ground and act as props for the main trunk. 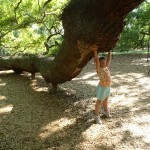 The larger limbs, if stood vertical, would make most trees you see look small. 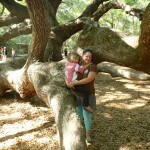 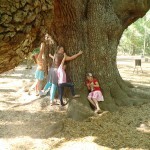 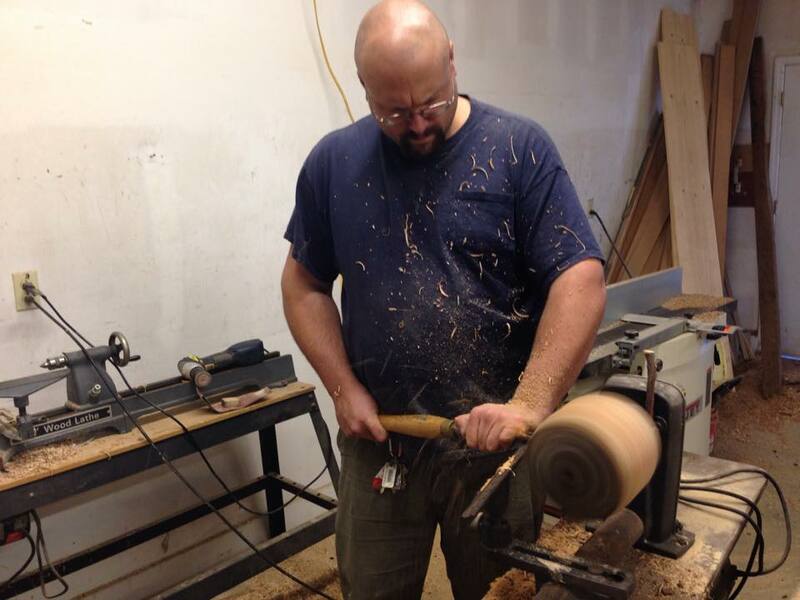 This entry was posted in Education, Family Fun on May 2, 2012 by Chasity.